(New Delhi, Jan 31,2019): Finance Minister Piyush Goyal will on February 1 present Narendra Modi government''s sixth and final Budget, which will be an interim one, keeping up with established tradition. The Budget will seek Parliament''s nod for spending for four months till a new government is sworn-in. Official sources said the Budget documents will contain revenue and expenditure projections for the entire 2019-20 fiscal year beginning April 1, but a ''Vote on Account'' will seek Parliament nod for the expenditure side. While it is widely expected that the interim budget may contain tax sops and a certain package for the farm sector, there will be no Economic Survey detailing the state of the economy. The new government, elected after general elections due by May, is expected to present a full budget in July along with the Economic Survey. With the ruling BJP looking to regain grounds lost in the recent assembly elections, it was speculated that the budget presentation on February 1 will be just like a full-fledged one with sops and announcements to woo voters. The Lok Sabha website, however, in its Provisional Calendar referred to the event as an Interim Budget. The Finance Ministry also denied having instructed its staff to refer to the upcoming Budget on February 1 as a ''General Budget''. Confusion was created after the commerce ministry on Wednesday in a whatsapp message to media said: "do not refer Budget 2019-20 as interim Budget, it is officially referred as general Budget 2019-20". However, the Finance Ministry later clarified that the Budget will be called interim Budget 2019-20. There were confusion in political circle that the government may deviate from the practice of presenting interim Budget and come up with full Budget ahead of the general elections. To this principal, opposition party Congress had said it will strongly oppose, both inside and outside Parliament, the presentation of a "full budget" by the BJP-led NDA government as it has "no electoral legitimacy" and the step will go against set precedents and Parliamentary traditions. Adding to the speculations was the statement by Arun Jaitley from New York, days before he temporarily gave up the charge of Finance Minister to Goyal to undergo treatment. In his address to an award function by CNBC TV18 through a video link, he had stated that: "Convention has always been that election year Budget is an interim Budget. The larger interest of the nation dictates what will be a part of the interim budget". He suggested that issues confronting the farm sector will constitute one such challenge. 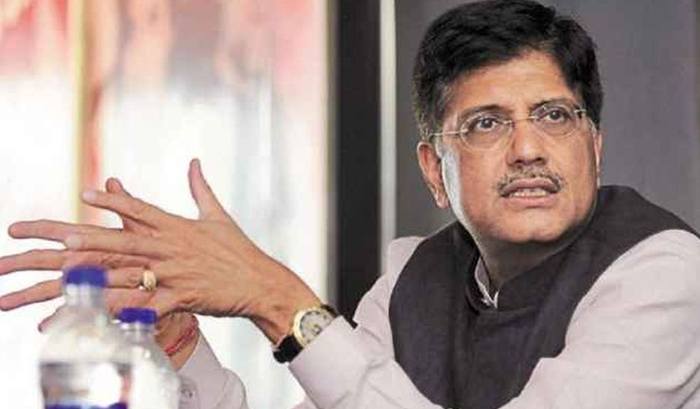 Last week, Railway Minister Goyal was given additional charge of the Finance Ministry. Jaitley as the Finance Minister has presented five Budgets. As per practice, a Vote-on-Account or approval for essential government spending for a limited period is taken in an election year and a full-fledged budget presented by the new government. While P Chidambaram had presented the previous UPA government''s Vote-on-Account in February 2014, Jaitley presented a full budget in July that year. Last year, Narendra Modi-led government scrapped a colonial-era tradition of presenting the Budget at the end of February and it is now presented on February 1, so as to allow Parliamentary approvals to be completed before the start of the next financial year.